Apple has reportedly hired the sales director of luxury watch maker TAG Heuer in the hopes of marketing its iWatch under the prestigious 'Swiss made' label. Jean-Claude Biver, the CEO of the LVMH company that owns TAG, Zenith and Hublot told CNBC his number one sales executive departed last week "to take a contract with Apple" to launch the iWatch. CNBC reports the appointment represents a breakthrough for Apple in its until now fruitless attempts to poach employees from Swiss watch makers to work on the iWatch, expected to launch in October. 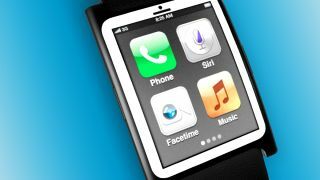 Having 'Swiss made' featured on the iWatch would allow Apple to accentuate the perceived value of the device, according to the report. "For sure they are trying to approach the Swiss manufacturers, but the Swiss have got no great interest in working with Apple – if you are a luxury producer and you cooperate with Apple, you have got a dilution," luxury goods analyst Mario Ortelli said. "They don't want to dilute the value of the Swiss name," he added. How having a Swiss salesman on the team allows Apple to use 'Swiss Made' on a device that was conceived in California and assembled in China remains to be seen. Knowing Apple it'll probably find a way.